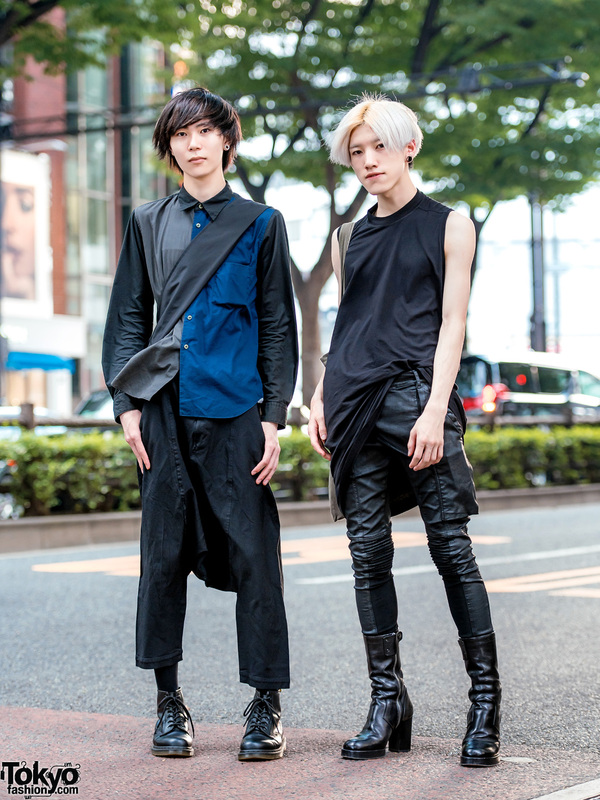 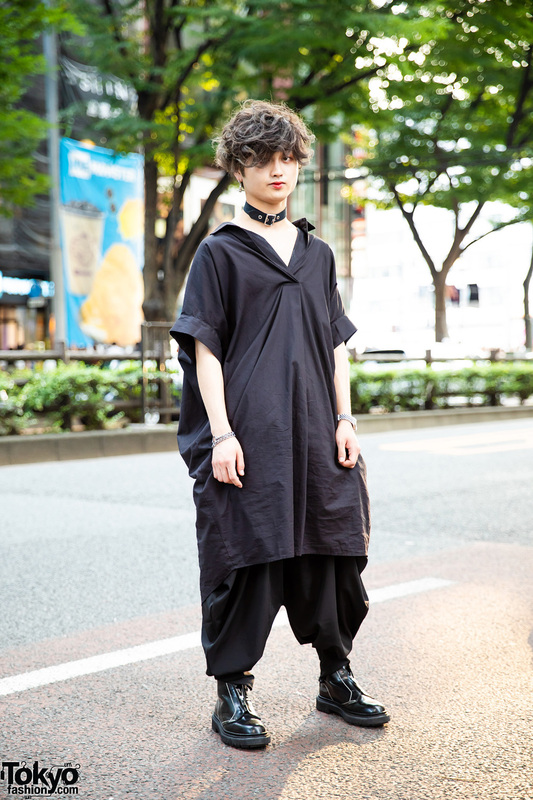 Harajuku guys clad in dark minimalist streetwear styles with Rick Owens and Black Comme des Garcons items. 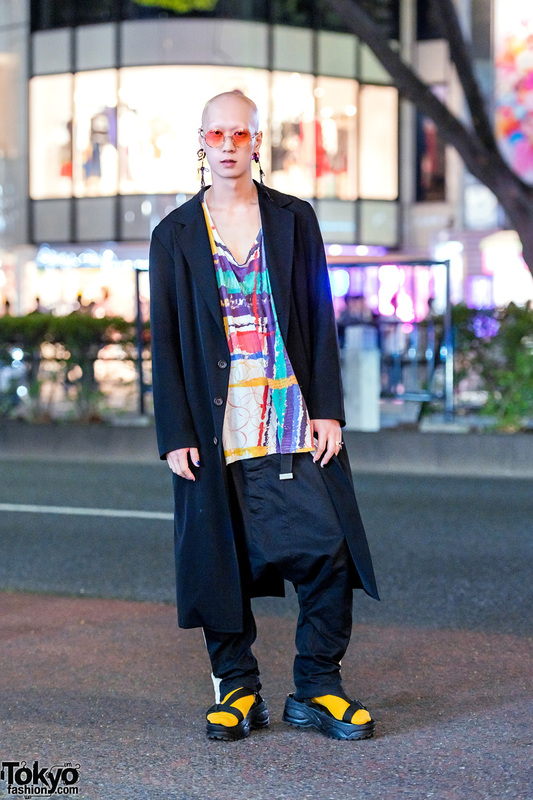 Harajuku model and musician dressed in a striking streetwear ensemble while out and about on the street. 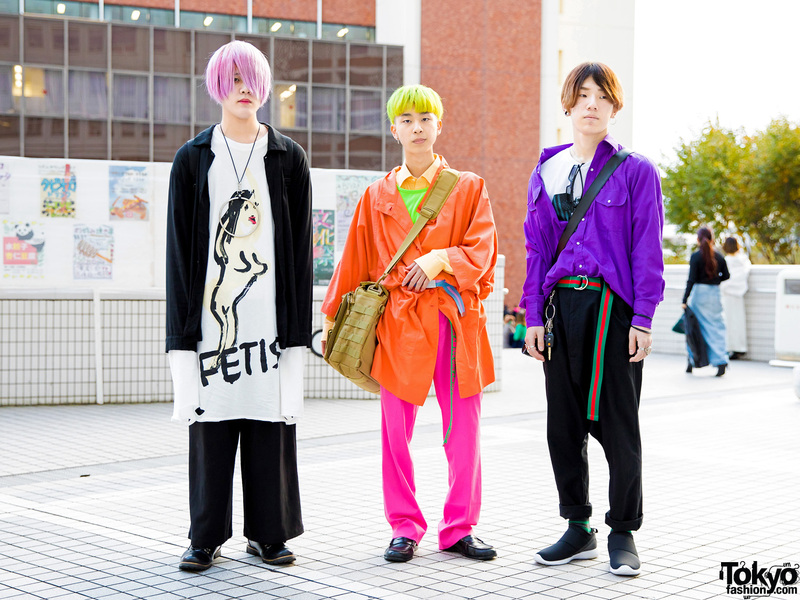 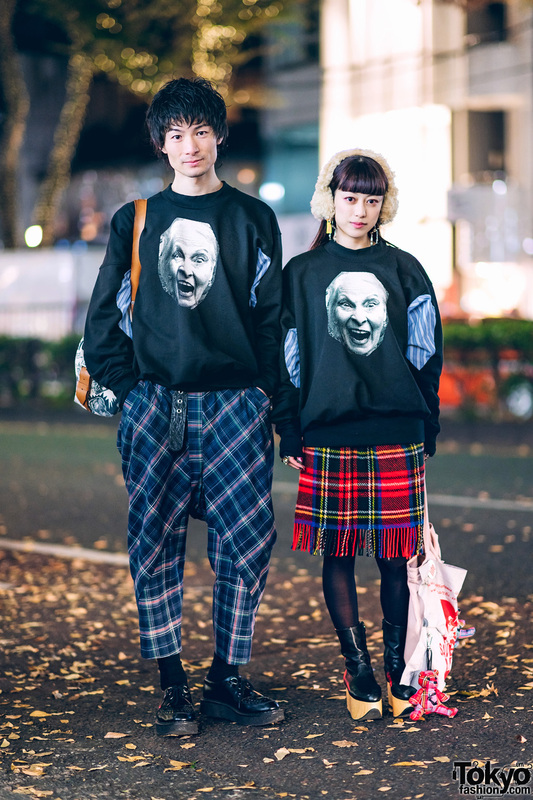 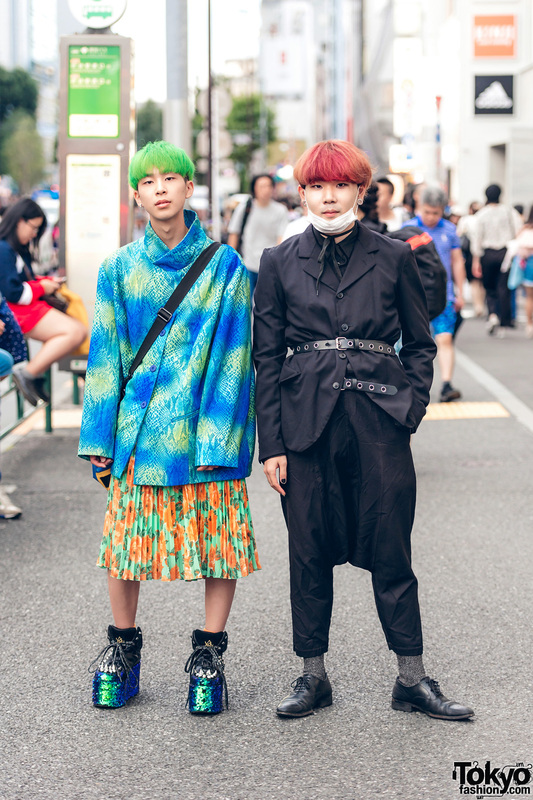 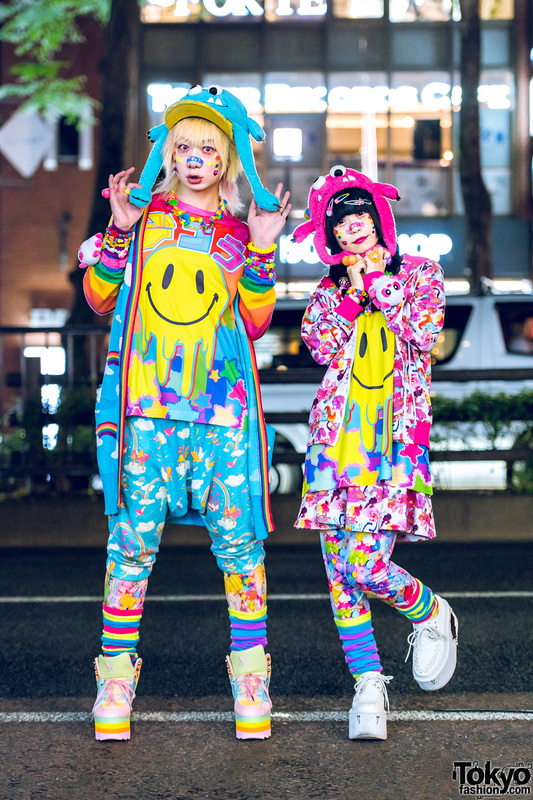 Japanese teens with colorful hair & layered fashion wearing long sleeve shirts over t-shirts, wide leg pants, pink pants, drop crotch pants, black boots, loafers and black sneakers.